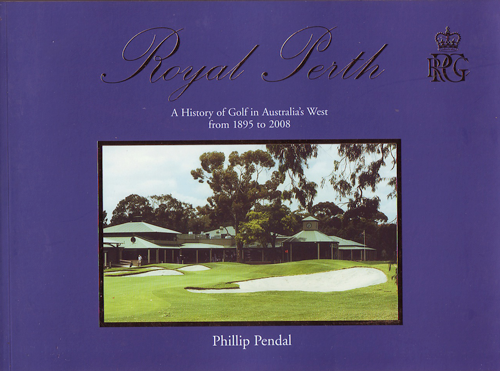 Royal Perth : a history of golf in Australia’s west from 1895 to 2008 / Phillip Pendal. Traces the Royal Perth Golf Club’s beginnings at its foundation meeting at Government House and the game’s establishment on Burswood Island in 1895. The story weaves its way through the trials encountered on a site which today boasts a major race course and the nearby Burswood International Casino. 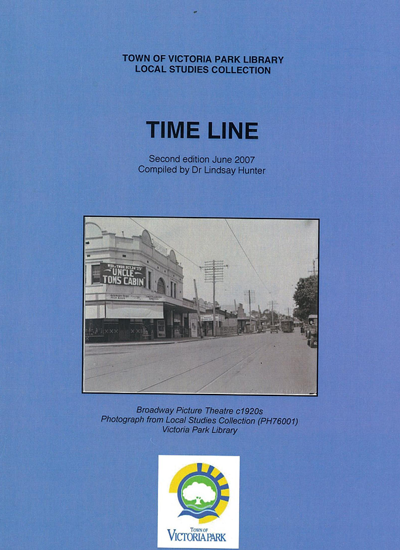 Timeline : Town of Victoria Park [2nd ed., 2007] / compiled by Lindsay Hunter. In its 2nd edition, the development of the Town of Victoria Park’s time line is an on-going project. Find out about the early history of the town, starting from 35,000 B.C. and covering significant events in the Town up until December 2006. This edition has focused on covering the time period of the first Council from 1894 to 1917. 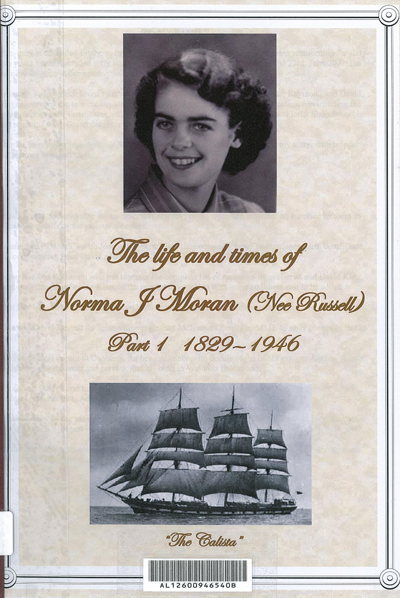 The life and times of Norma J Moran (nee Russell) : Part 1 1829-1946 / Norma Joyce Moran. Read the first part of the unpublished memoirs of long-time South Perth resident, Norma Joyce Moran. It tells of the ancestors of Norma J. Moran (nee Russell) from the time they arrived in the Swan River Colony. A beautifully presented family history publication, Norma has researched widely and includes photographs and other visual material to supplement her information throughout. If you’re on the lookout for some new reading material to kick off the new year, have a look at some of the interesting titles that are coming through your local library right now…. Pa : Sydney Arthur Smith, 1899-1979, his life story / David Smith, Elaine Holloway and Lois Atkinson. Article from the Southern Gazette, 21 Jan 2014, page 17. Seeking wisdom : a centenary history of the University of Western Australia / edited by Jenny Gregory. Seeking Wisdom: A centenary history of The University of Western Australia charts the changes the University has undergone in its first century as well as the challenges it has met. This richly illustrated commemoration of the first one hundred years of UWA is both a record of the University’s past and a promise for its future. UWA Publishing for more info. 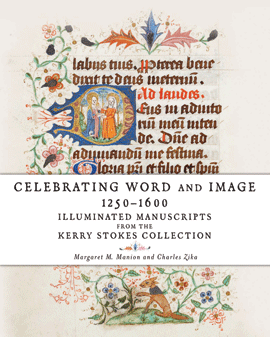 Celebrating word and image 1250-1600 : illuminated manuscripts from the Kerry Stokes Collection / Margaret Manion and Charles Zika. The Kerry Stokes Collection is one of the most significant and respected private collections of art and historical material in Australia. Celebrating Word and Image 1250-1600: Illuminated Manuscripts from the Kerry Stokes Collection features a select group of twelve handmade books or ‘manuscripts’. Each makes a distinct contribution to the history of the book itself. With a generous number of colour illustrations and written by experts in the field, Celebrating Word and Image 1250-1600 makes these important historical artefacts available to the public for the very first time. Fremantle Press for more info. 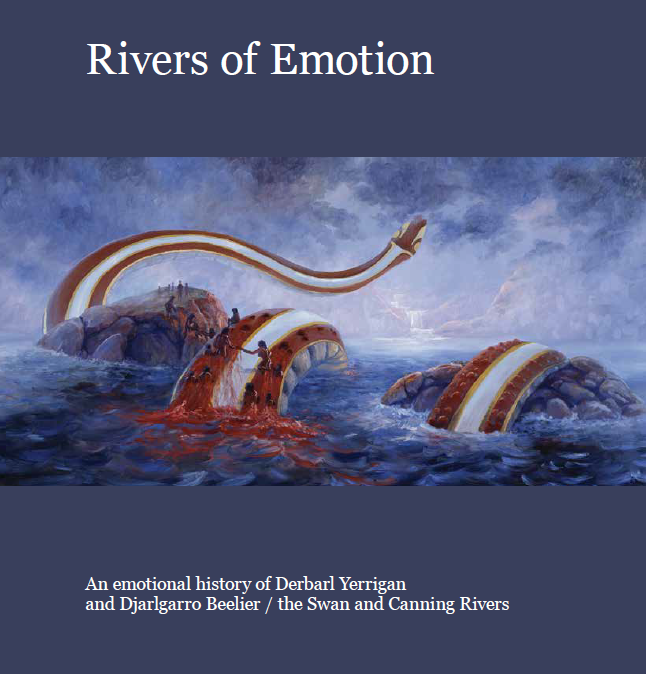 Rivers of emotion : an emotional history of Derbarl Yerrigan and Djarlgarro Beelier : the Swan and Canning Rivers / [edited by Susan Broomhall and Gina Pickering]. Rivers of Emotion website for more info. Beyond Matta Gerup: a history of Victoria Park / Susannah Thompson. 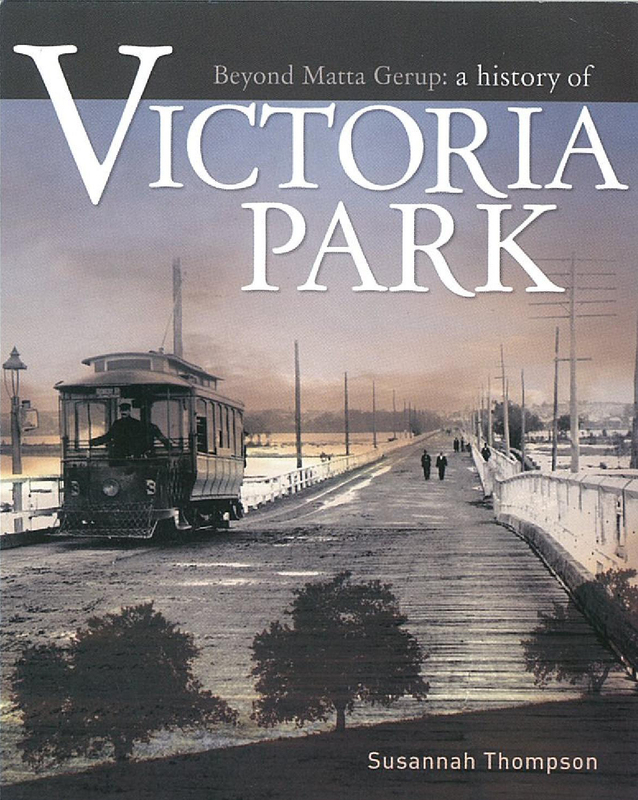 The Town of Victoria Park’s latest publication ‘Beyond Matta Gerup: a history of Victoria Park’ by Susannah Thompson gives a narrative of the changing social landscape in Victoria Park, the story of its people, and how they have lived and worked in the district. Victoria Park website for more info. As always, reserve online through our catalogue or come in and browse the shelves! Warren Duffy’s new book Lost Perth is now available for loan at the South Perth & Manning Libraries and is part of our Local History Collection which can go out on loan for 1 week periods. Want to see what the hype is all about? Contact the libraries or reserve it online now. 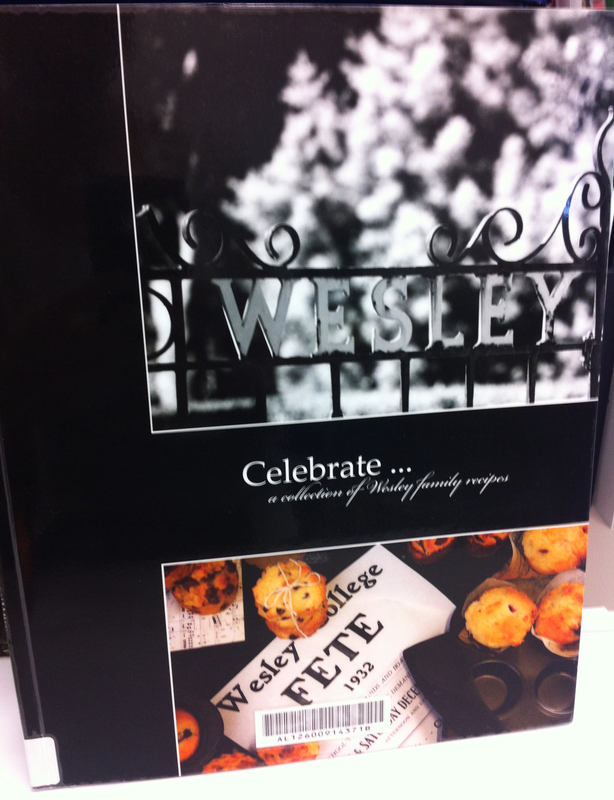 Earlier this year, Wesley College released a new cookbook full of delicious Wesley family recipes. Whether you’re planning your Christmas meal or dessert, or even just nibbles, there is no shortage of ideas in this beautifully presented book. It’s also filled with images of food, and historic images of Wesley College for the nostalgic. 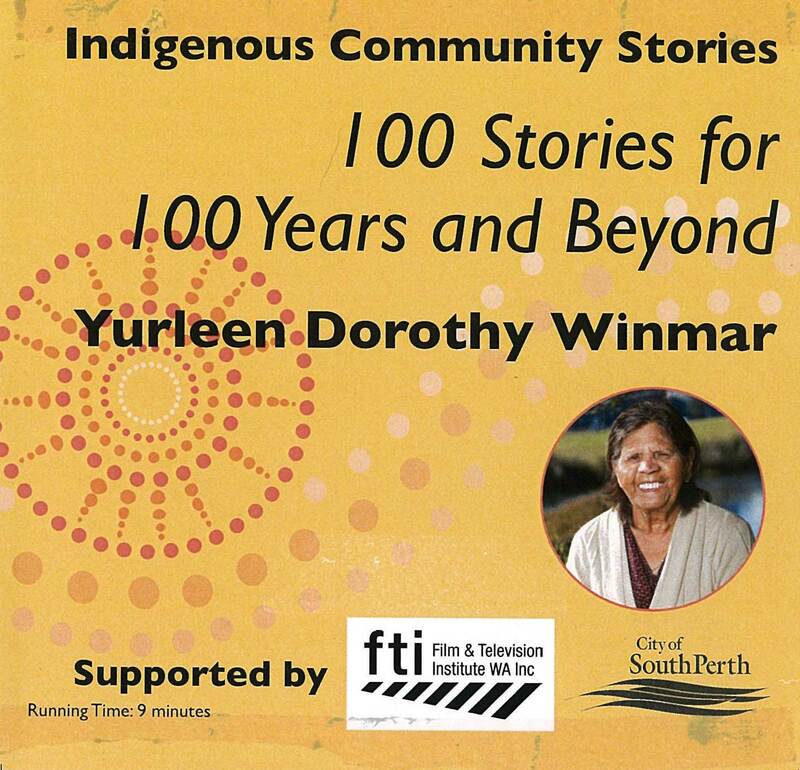 Copies of the book are available for loan at the South Perth & Manning Libraries so get in quick if you like to plan ahead.